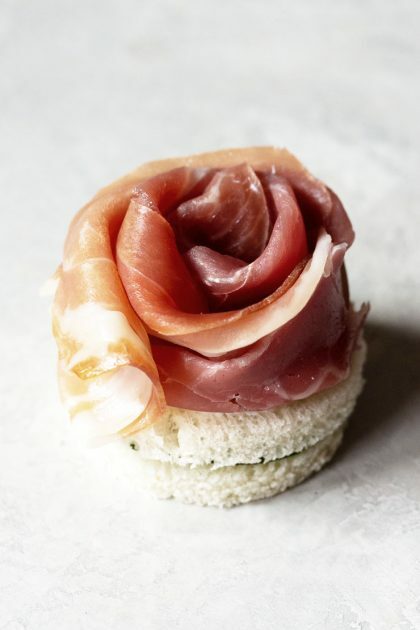 Delicious and surprisingly easy-to-make goat cheese and basil finger sandwiches topped with adorable prosciutto roses. These are perfect for parties and tea time. Ravishing. Stunning. Gorgeous. 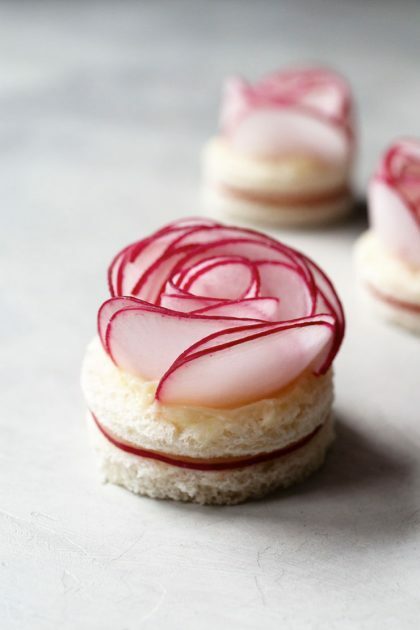 All words to describe these radish rose tea sandwiches. Made with lemon butter, these bite-sized, open-faced sandwiches are perfect for tea time. 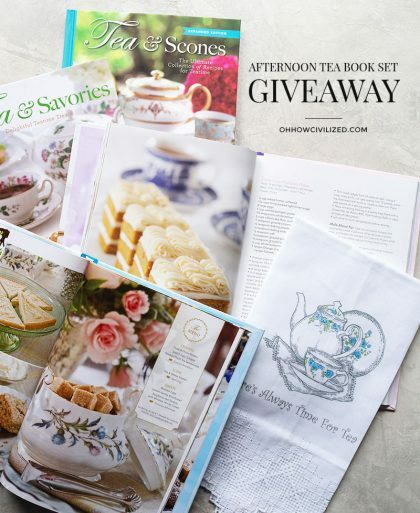 If you love afternoon tea and want ideas and recipes on hosting your own tea party at home, I have the perfect book set for you. The Pembroke Room, inside The Lowell hotel in NYC is one of my favorite afternoon tea spots. My review of the tea service includes the service and the food. What is the proper way to have afternoon tea? What do I wear? Do I eat everything with my fingers? Have questions about afternoon tea? 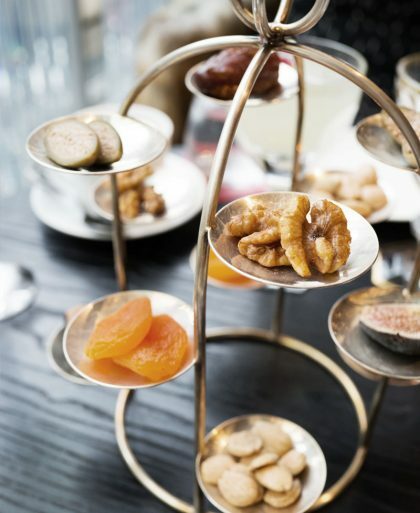 A review of the multiple course Turkish Tea for Two at the Baccarat Hotel in New York. Five courses from small bites to a frozen dessert! Is afternoon tea the same thing as high tea? Nope! Find out how they’re completely different meals.Is Afternoon Tea the Same Thing as High Tea? 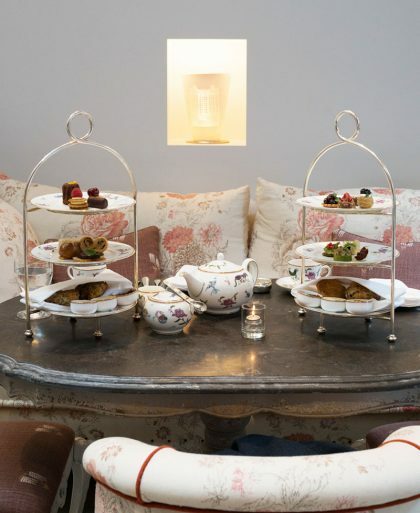 My eight picks for the best afternoon teas in New York City from super fancy (Baccarat Hotel and The Plaza) to the less formal (Garfunkel’s and Bergdorf Goodman). 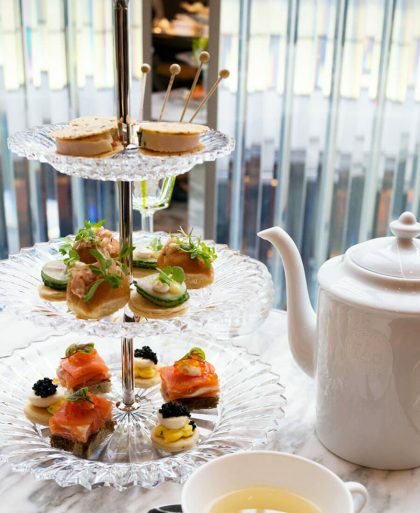 Traditional afternoon tea is served in three courses and usually on a three-tiered tray alongside a pot of tea. This illustrated guide shows what order afternoon tea should be eaten. 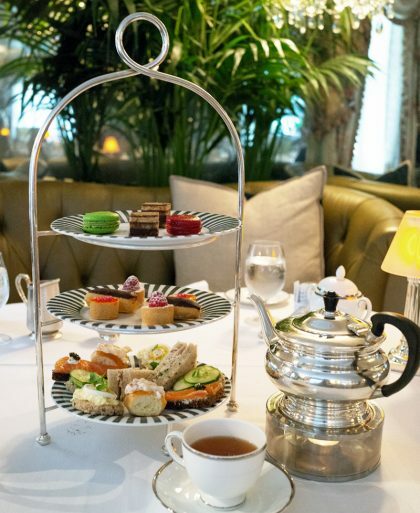 A review of the afternoon tea at BG Restaurant inside Bergdorf Goodman. 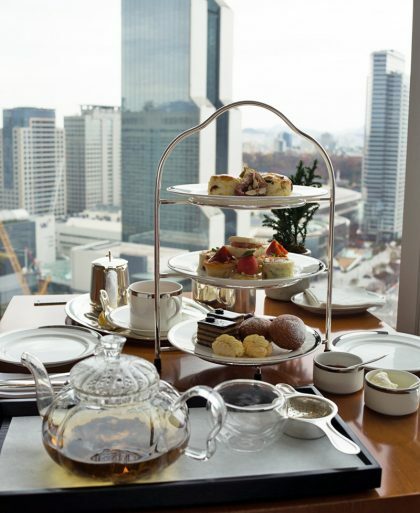 Perched on the seventh floor of the luxury department store, tea service comes with a pretty view of Central Park. The Whitby Hotel’s afternoon tea from start to finish, reviewed. From the tea selection to the sweets, take a look at every course. 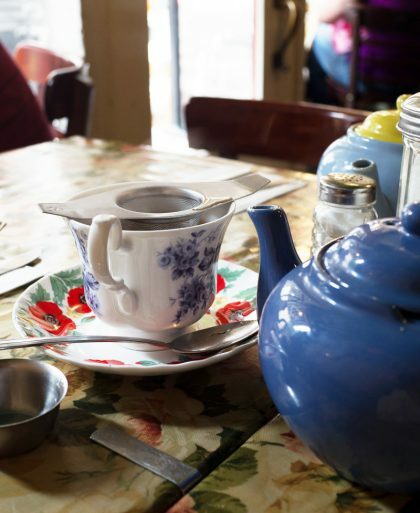 Tea & Sympathy is a very cozy little restaurant that serves British comfort food. 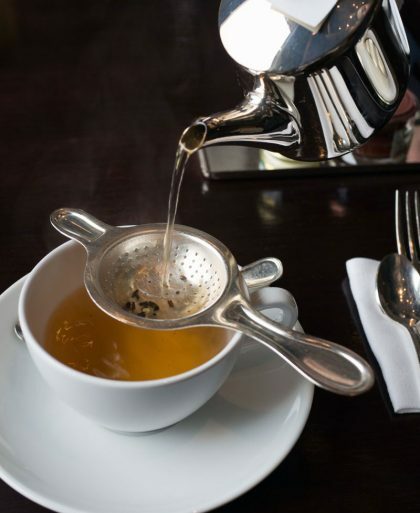 Afternoon tea, of course, is on the menu and here’s a look at the tea service.